It’s an issue practically all of us must address at one time or another. Virtually every pilot—student, private, commercial or ATP—dreams of owning an airplane. In most cases, the first question a pilot must answer is the obvious one: How much money are you willing to spend on an airplane? In the majority of cases, this will be a finite number that will make the selection process easier. In others, a prospective buyer may be willing to spend as much as he or she needs to buy the airplane he or she wants. One way or another, a smart purchase, like a small fight, begins with gathering all the important information. All pilots are entitled to do whatever they wish with their money, but there are some issues to address before considering the purchase of an airplane if you’re determined to be logical about the decision. First, how many hours a year do you expect to fly? Look back on your rental experience, and honestly assess your flights. Were rental airplanes readily available when you needed them? Were the aircraft in reasonably decent condition? Would your flying habits change if you were operating your own airplane? If you rent less than 50 hours a year, or roughly an hour a week, some guidelines suggest owning an airplane may be financially unwise. At a wet rental rate of $120 an hour for a Skyhawk, that’s only $6,000 a year. That doesn’t mean you shouldn’t buy, but it may not make financial sense. Do you really think you can own and operate an airplane for $500 a month? Logic doesn’t always apply, however, nor should it, whether you’re considering buying an airplane, sports car, motorcycle or boat. Years ago, I purchased a twin-engine, 27-foot, Sea Ray Sundancer cabin cruiser and kept it for five years, using it perhaps 10 to 20 hours a month at the most. One day, I sat down with a calculator to figure out the expenses on an hourly basis. I turned off the calculator after a few minutes. It was obvious I was spending hundreds of dollars an hour for the occasional privilege of speeding back and forth to Catalina Island, Calif., with friends. It was my money and my choice, but the actual costs were sobering. In the case of airplanes, remember that in many instances, it may be unlikely you’ll be able to afford to buy one as nice as those you’ve rented. Most pilots rent four-seat, fixed-gear singles, typically Skyhawks, Skylanes and Cherokees, and buying the same late models may be beyond the means of the average, middle-class aviator who is looking for a flying recreational vehicle. If you can afford to buy the same model, it may be 15 or 20 years older than your rentals. For that reason, many pilots who formerly rented a four-seater, even a two-plus-two, may wind up buying a two-place machine with less performance, range and cabin comfort. That may not be as bad as it sounds, considering that most pilots fly with two seats more than they need anyway. A four-place airplane makes an excellent “two passengers plus all the baggage you could possibly want” machine, and that’s exactly the way most are operated. You’ll obviously need to make a realistic assessment of operating and maintenance costs. Will you rent a tiedown or keep the airplane in a hangar? Will you insure the aircraft and, if so, will you buy straight liability or full-hull coverage? Will you hire out maintenance or attempt to do most of the periodic work yourself? Are you ready to take on the sometimes expensive and time-consuming task of maintaining an airplane as opposed to merely renting aircraft by the hour with no further obligations? Let’s say you’ve waded through all the issues above and decided you’re ready to buy. The next question is, what model should your entry-level machine be? Do you really need four seats or will two suffice? What’s your typical mission profile— half-hour hops for a hamburger on weekends or long-distance flights for business and pleasure? Much of the time, pilots will zero in on a particular model or concentrate on two or three possible candidates. Even if the goal is to become an owner at an absolute minimum cost, there are more choices than you might imagine. In my case, as a new private pilot, I rented Piper Cherokees for a few hours, but quickly decided I needed my own airplane. I had the hots for a Globe Swift, a small, cramped, underpowered, late-’40s two-seater that looked a little like a miniature P-40. This was many years ago, and when I found a well-used but pristine 1946 model owned by an A&P, I remember being intimidated by the price tag of $3,700. Eventually, I bought my Swift, flew it for seven years and finally sold it for $5,000. Today, Aircraft Bluebook Price Digest suggests that the same Swift GC1B with the stock 125-hp Continental engine would sell for more like $27,000. That was the first of five airplanes I was to own, culminating in my current Turbo Mooney. These days, the minimum price of admission to aircraft ownership is $10,000 to $15,000. Excluding homebuilts and ultralights, such an amount should purchase a fairly old two-seater, such as a Cessna 140/150, Aeronca Champ, Ercoupe 415, Luscombe 8A or even a Piper Tomahawk, the newest of the entry-level airplanes. If you need four seats, you’ll be looking at a minimum investment of $25,000, which will buy an older Stinson 108-3, Cessna 170/172, Cherokee 140 or a Beech Musketeer. Some of these models have their roots in the late 1940s, so you need to consider that you’ll be buying a true antique, a half-century-old airplane, possibly fabric-covered with wood wings. One saving grace is that most of the models above are extremely simple machines with basic, easily maintained systems. For pilots interested in higher performance, the ante increases to more like $40,000, enough to afford a reasonable early Navion, Bellanca Cruisemaster, Comanche 180 or Mooney. It’s important to remember that retractable-gear and constant-speed props introduce additional complexity and maintenance, which directly translates to higher operating costs. Upping the price limit to $50,000 opens the door to Piper Arrows, Beech Sierras and even some Cessna 182s, the latter not a retractable, but universally regarded as one of the best airplanes ever built. Youth may be more important than performance, however. You might even consider buying a later model of a lesser airplane rather than an older model of a higher-performance machine. Fifty thousand dollars will buy you a 1976 Skyhawk, a 1975 Cardinal or a 1982 Piper Warrior, but only a 1967 Mooney Chaparral or a 1969 Piper Arrow. You can spend far more and expand the possibilities to another 100 or so models, but $50,000 represents a reasonable maximum investment in your first airplane. Rather than concentrating on one model, you may be better served to expand the field of potential candidates to two or three models, especially if the number of available used examples in your primary choice is limited. Confine your search to an older airplane such as a Stinson Reliant, and it may be difficult to find that perfect example you’re seeking. Whatever your choice, many pilots looking for used aircraft turn to the old standard, Trade-A-Plane, published three times a month and bulging with ads for every possible kind of flying machine, from a Thorp Sky-Scooter to a P-51 Mustang. Trade-A-Plane is distributed nationally and overseas, so you’re likely to see ads from Europe and Australia in its pages. The Internet also has become a heavily traveled place for aircraft buyers and sellers (see the sidebar “Click & Buy”). As a general rule, buying a fixer-upper at a low price is a poor idea unless you happen to be an A&P mechanic with your own tools and maintenance shop. Trying to save money with a ratbag airplane can be a deeper money pit than you’d believe. While it’s true you might be able to customize the aircraft to your personal specifications, the bottom line will likely be more expensive than if you had continued shopping for a pristine example of the same model. Professional aircraft brokers who buy and sell aircraft all the time agree the better plan is to purchase a well-maintained machine with a low-time engine (preferably overhauled by a reputable shop), good paint and interior, and a decent avionics suite. Expect to pay a little (or a lot) more for such an airplane. You’ll wind up with a better aircraft, one you can fly immediately without having to invest an unknown amount of time and money. If you’ve decided on a specific model of aircraft, you should contact the type club for that model and ask for all the help it can offer. Type clubs (find dozens of them at www.landings.com) are accessible on the Web, and they can advise you about common maintenance problems, popular modifications and knowledgeable mechanics in your area and provide other information that may help in your decision. 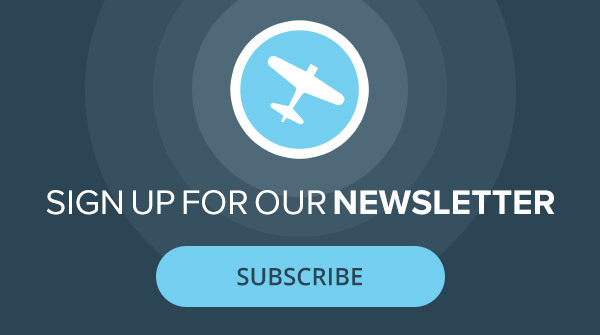 If you’re not already a member, consider joining the Aircraft Owners and Pilots Association (www.aopa.org), as it may be able to offer valuable assistance. Once you’ve found a potential aircraft to purchase, you’ll need to verify that the title is clear and conduct a comprehensive pre-buy to determine if this might be the airplane for you. AOPA can help with the title search, but you’ll need to hire a pro for the pre-buy. Type clubs can be a conduit to a reliable mechanic. If you’re serious about the airplane, you shouldn’t be afraid to spend a little extra money on a proper pre-buy. Assuming you’ve located a mechanic familiar with the model, he or she will know what to look for and will verify that all FAA airworthiness directives have been followed. The mechanic also should be able to give you some idea of what kind of expenses you may be facing down the road. In many cases, it’s worth considering giving your prospective purchase a complete annual. No one wants to pay too much for anything. There’s always a temptation to negotiate a lower price, even when the owner has reached his bottom number. (Problem is, how do you know?) Keep in mind that if you’ve found the airplane, you may be better served to pay slightly more rather than bear the time and expense of continuing the search. Just as there’s no way any magazine article can teach you to negotiate a price, there’s no way of knowing if this airplane will be a dream machine that you’ll enjoy for a decade or wind up trading out of in a year for something better. If you’ve made an honest assessment of your needs, been reasonable in your expectations and done an adequate job of researching the model and the individual machine, you should wind up with an airplane you can fly happily…until the next one.